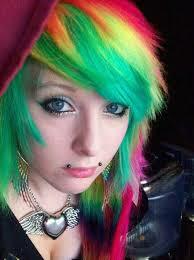 emo girl with pelangi hair. rainbowhair. Wallpaper and background images in the emo girls club tagged: photo. rainbow hair, dont care!! heheheheh rawr!